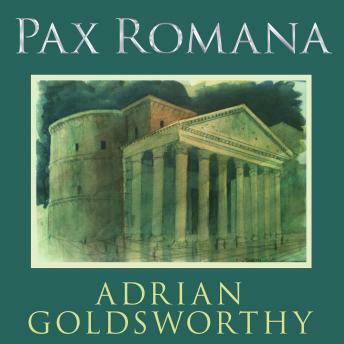 Bestselling author Adrian Goldsworthy turns his attention to the Pax Romana, the famous peace and prosperity brought by the Roman Empire at its height in the first and second centuries AD. Yet the Romans were conquerors, imperialists who took by force a vast empire stretching from the Euphrates to the Atlantic coast. Ruthless, Romans won peace not through coexistence but through dominance; millions died and were enslaved during the creation of their empire. Pax Romana examines how the Romans came to control so much of the world and asks whether traditionally favorable images of the Roman peace are true. Goldsworthy vividly recounts the rebellions of the conquered, examines why they broke out, why most failed, and how they became exceeding rare. He reveals that hostility was just one reaction to the arrival of Rome and that from the outset, conquered peoples collaborated, formed alliances, and joined invaders, causing resistance movements to fade away.